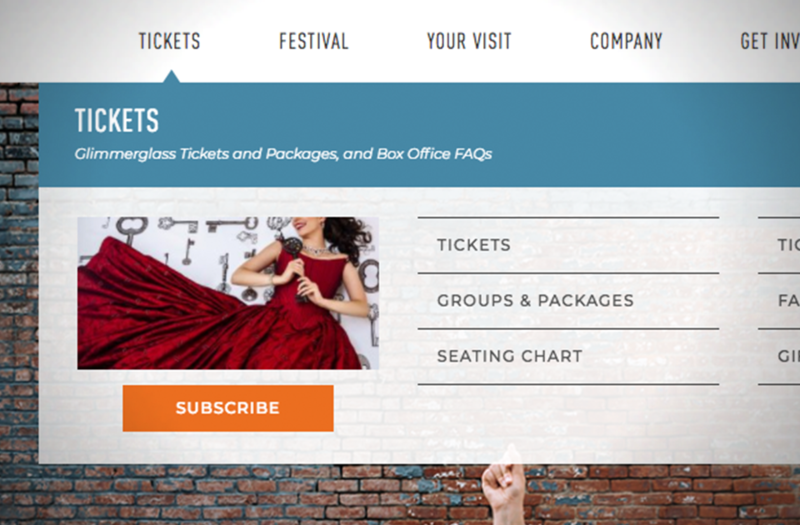 The Glimmerglass Festival came to Gameflow with an aging website and a complex set of business objectives. Their loyal patron base needed to plan a destination arts package during the short (and busy) summer season, while making planning easy for the limited lodging alternatives around Baseball Hall of Fame events. They also needed to draw more focus to their outreach programs, building new audiences through educational and innovative operatic experiences. 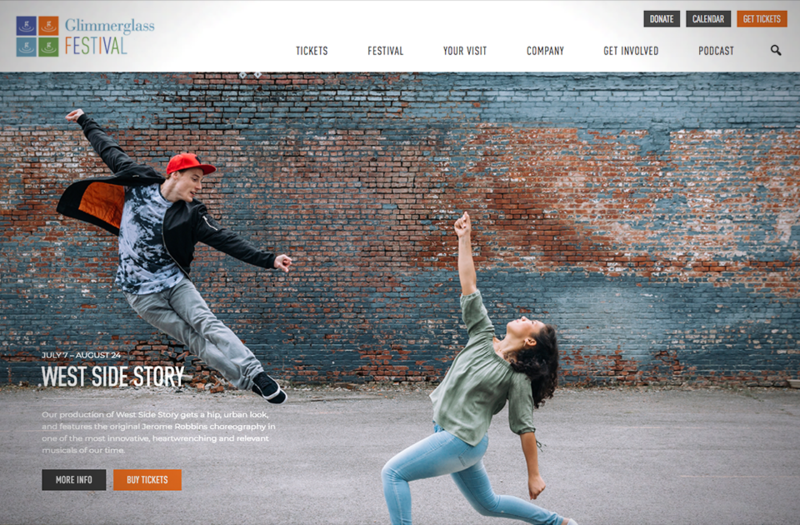 It was critical to entice all their audiences to plan to sample a variety of events in the festival repertory during a stay in region, moving patrons from single ticket buyers to festival regulars through a variety of package options. 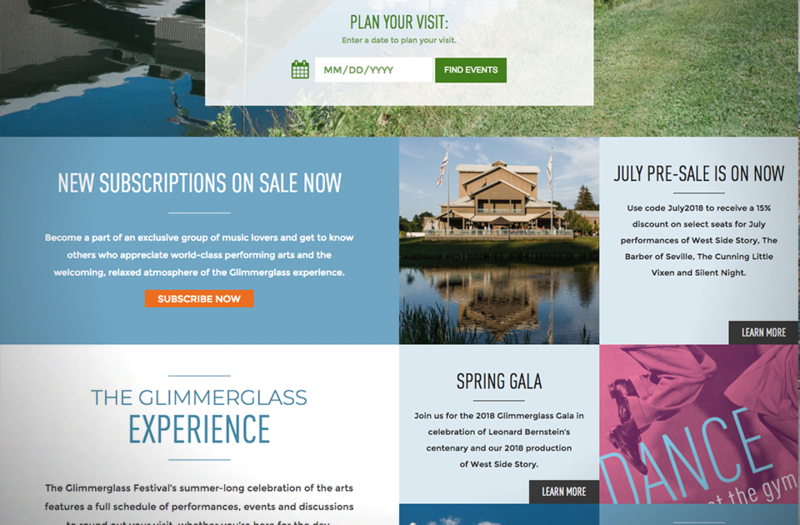 We wanted to make sure that Glimmerglass’s new site featured their incredible photography to communicate the audience experience, while getting a sense of Glimmerglass’ unique combination of engaging and enriching artistic experiences in a relaxed, natural setting. 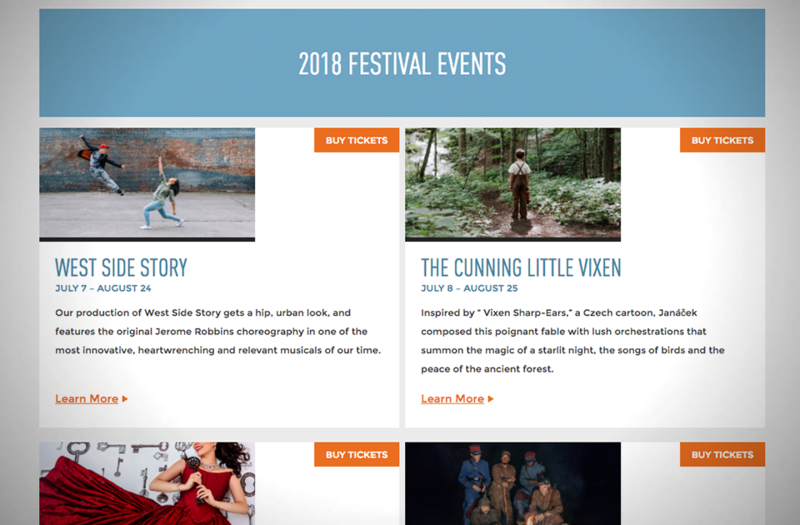 Our design immerses the audience in the feeling of a journey to Glimmerglass through full-screen responsive designs, and a flexible home page promotional area that draws attention to the most important programs and offers that the staff can quickly change throughout the onsale cycle. 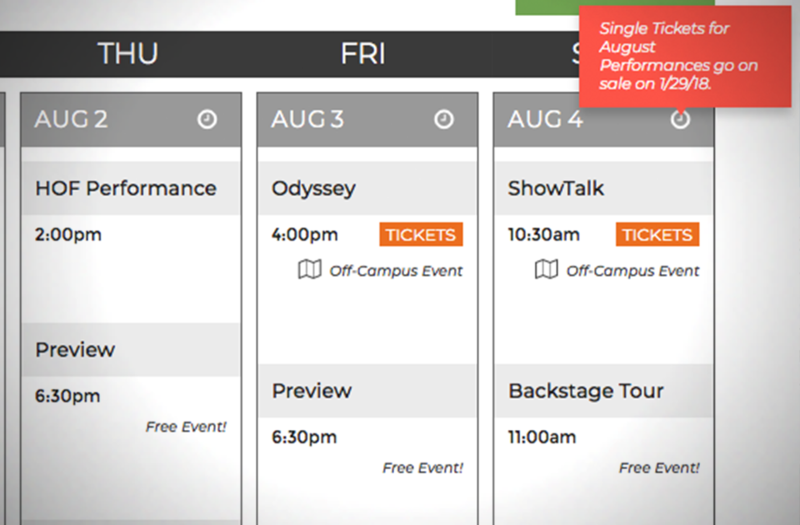 Our standard Groundplan calendar was enhanced with a homepage date look up to begin planning a visit to the Festival, and date-specific tooltips providing help for particularly challenging weeks to guide patrons to lower-traffic weekends and package deals. Performance icons and directions for off-site and second-stage events provide additional context to help prevent patron confusion. Once the season begins, there’s no time to retool content until September, so we optimized the content management workflow to allow one-click shifts from pre-sale to on-sale mode, auto-archiving events, and integrations with their existing SmugMug photo gallery management system, PatronManager CRM, ticketing and donations, and we helped them set up a new Shopify integration with their CRM to better promote and track online merchandise sales.